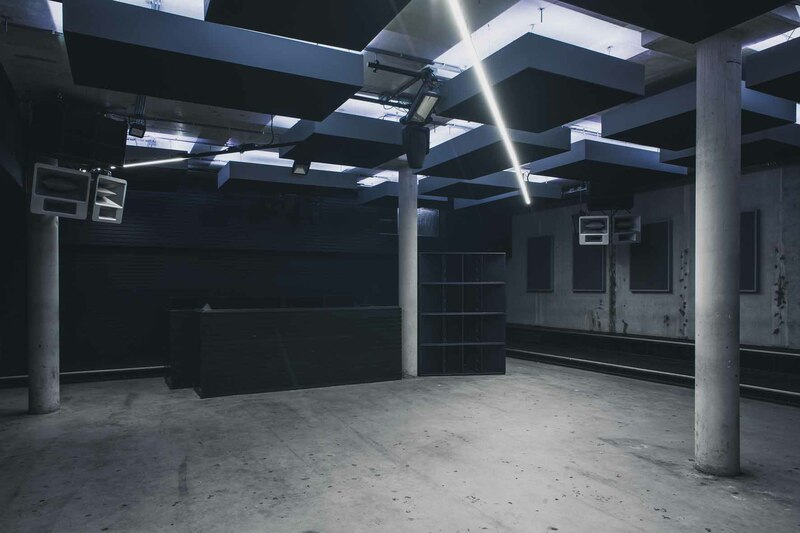 Shelter nightclub in Amsterdam is home to a new, four-point Funktion-One Evo sound system from Think! AV. The venue has quickly established itself on the international clubbing map, thanks to an uncompromising approach to quality. Located beneath A’DAM Toren – a large tower behind Amsterdam’s Central Station on the northern banks of the river IJ – Shelter is a 700-capacity, underground clubbing space. A’DAM is short for ‘Amsterdam Dance and Music’, which reflects the direction of the owners and businesses that now occupy the building. The tower was built by Shell in 1971 and was a base for the multinational oil and gas company up until 2009. When it moved out, music moved in. Shelter’s general manager, Merijn van den Heuvel, explains the idea behind venue: “To be a clubber’s club, with sound, quality and vibe as top priorities in every decision we made from day one. A great clubbing experience starts, without any exception, with a great sound system and the acoustics to make it sound even better. The system features two Evo 6SH skeletal mid-high speakers with an F215 Mk2 bass enclosure at four flown positions around the dancefloor. A stack of four F221 double 21in enclosures extend the bass response even further. The result is a four-point, four-way, horn-loaded system that provides a truly immersive listening experience. Two Resolution 2SH skeletal loudspeakers have been deployed at the bar for mid-high in-fill, a Resolution 1.5SH for front fill, two F1201 12in cabinets fill the lower area of the left side of the room when facing the DJ, and two F101s fill the area next to the DJ, behind the main system. F55 speakers are used in the smoking area and outside the bathrooms. Power comes from Full Fat Audio amplification and control from NST Audio.